Beth-Ann E. Krimsky is a commercial litigator and trial attorney whose practice includes a broad variety of business cases, including complex real estate and land use litigation, commercial disputes, fraud based litigation and class action defense with an emphasis on marketing, privacy and compliance issues (including pursuant to the TCPA, FCRA, and DPPA to name a few). Her practice includes trial work in both federal and state courts as well as alternative dispute resolution forums such as arbitration proceedings. Ms. Krimsky’s land use and real estate litigation practice includes trial court litigation as well as representation of clients in quasi-judicial proceedings before city and county commissions and/or government bodies. She also has extensive experience pursuing and litigating claims under the Bert J. Harris Act and obtaining extraordinary writs of mandamus and petitions for writ of certiorari throughout the state. Ms. Krimsky’s experience defending companies facing complex class actions has brought her to both state and federal courts throughout the country covering a broad range of industries, including retail promotions, automotive warranty, credit card processing, vacation sales and debt settlement. She has a history of defeating class actions at many stages of the process and bringing early resolution to cases that warrant it to save client time and money. 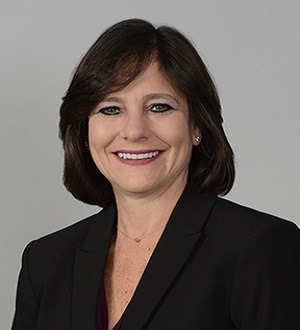 Ms. Krimsky also serves as local counsel for many out of state companies with Florida matters including contract disputes for software providers and manufacturers of electronic parts, fraud claims and real estate related disputes. Ms. Krimsky has been named by the Daily Business Review, an ALM publication, as one of the “Top 20 South Florida Women in Law” and as an “Influential Business Women” by the South Florida Business Journal. In 2010, she was awarded the “Key Partner” award by the South Florida Business Journal who found Ms. Krimsky to be among the best in her field by providing the highest quality of service to her clients while exhibiting the highest levels of professionalism and ethics.